1) Elsa costumes are sold out in every physical store in a 60 mile radius around you. 2) She no longer wants to be Elsa, despite the fact that you drove to every physical store in a 60 mile radius around you. Sound familiar? It’s the exact scenario I’m facing, and it’s the 11th hour. H-day is upon us! No worries, mama. If like me and you’re not content to just scoot your kiddo out the door as a makeshift witch (for the 3rd year in a row), I’ve got you covered with these creative costume ideas that you can likely throw together with stuff you have around the house. 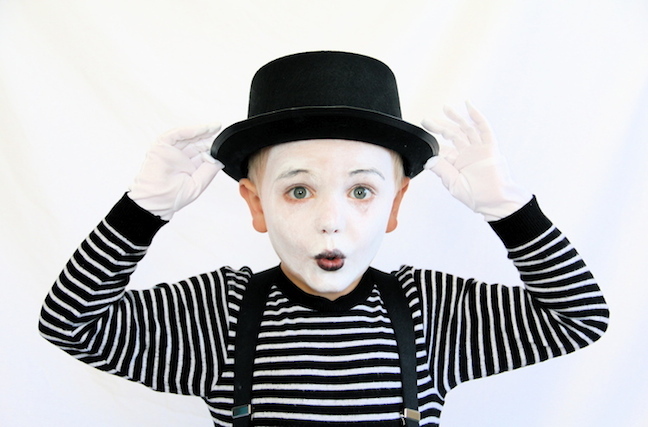 This mime costume is seriously so, so easy. You probably have everything you need to put it together already! Add some face paint and a charismatic little one and you are good to go! Tutorial and photo via And We Play. I’m obsessed with this little hipster costume! 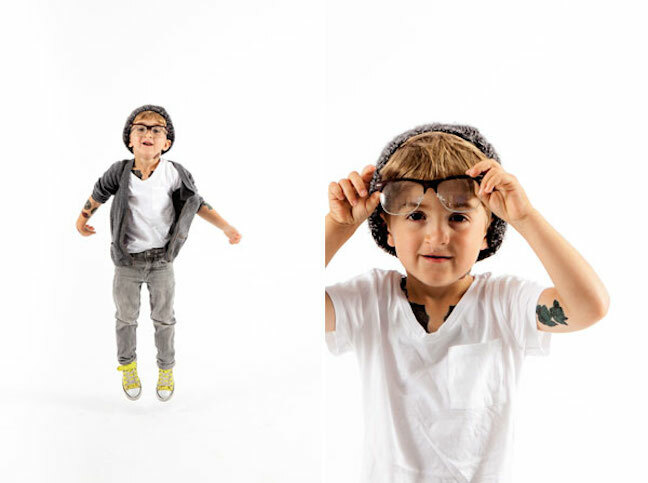 With a deep V-neck, some rad glasses, and a whole lot of temporary tattoos, you have an instant costume! Tutorial and photo via Oh Happy Day. 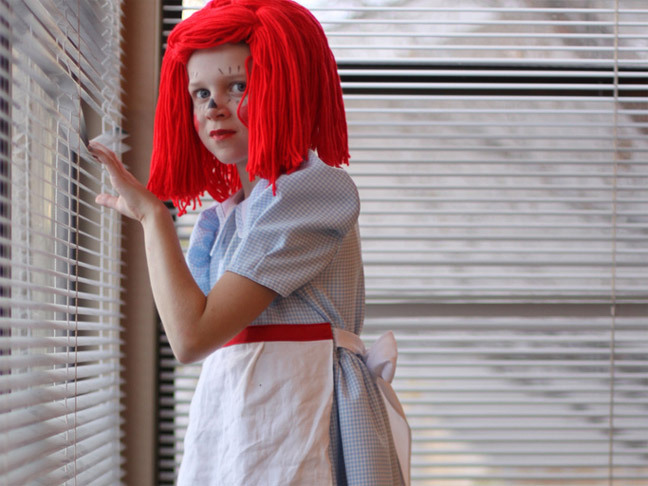 Red yarn and an apron are all you need for this Raggedy Anne costume. Tutorial and photo via Design Mom. 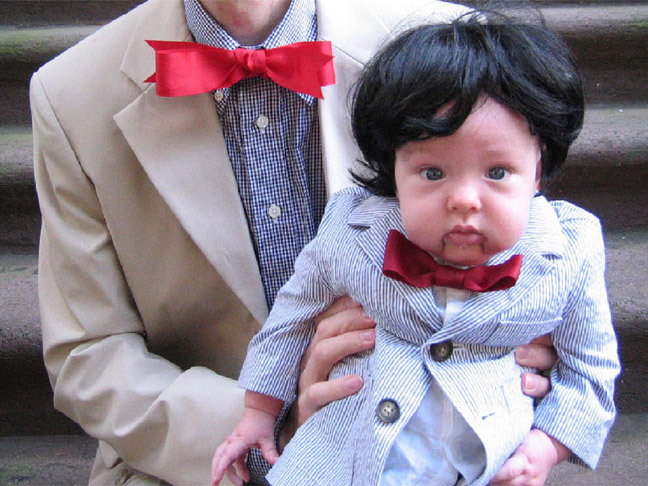 Little wig + suit and bowtie= baby ventriloquist! Tutorial and photo via Inchmark. 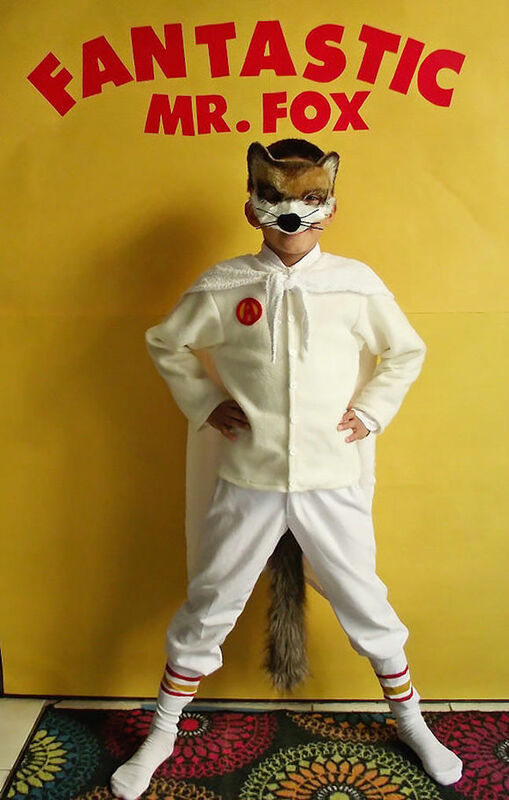 If your kids are fans of The Fantastic Mr. Fox, this is a perfect and super fun costume! 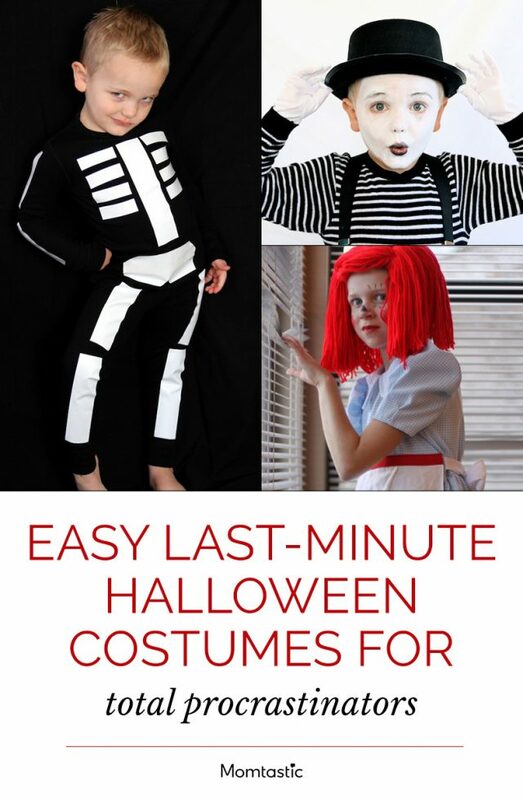 You could even make costumes for the whole family! So fun. Tutorial and photo via Handmade Charlotte. If you have black clothes and some white duct tape you can make this unbelievably easy and fun skeleton costume for the kids. They’ll love it! Tutorial and photo via And We Play. 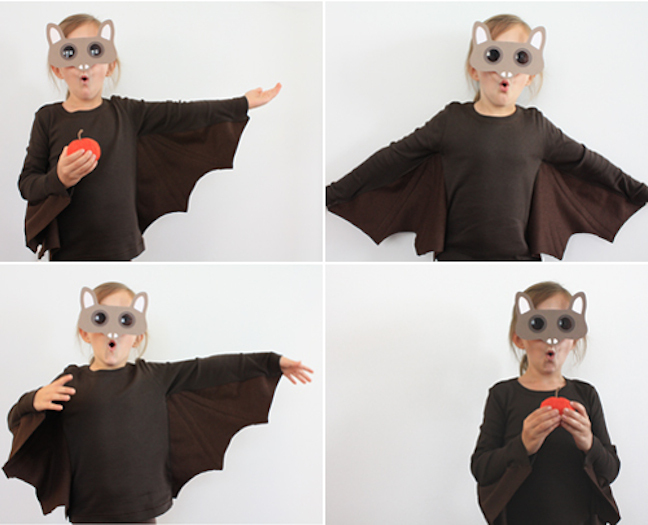 How about a little bat costume? Yes, please! Another really easy costume that your little ones are sure to love! 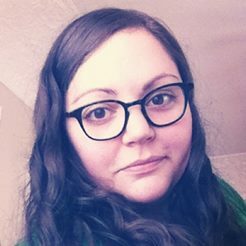 Tutorial and photo via Alpha Mom.